Waldorf education is a developmentally attuned and experiential approach to education. Founded in the early 20th century, Waldorf education is based on the insights and principles of education outlined by the world-renowned scientist, anthroposophist and artist Rudolf Steiner (1861-1925). Waldorf education evolved from Steiner’s profound understanding of human development to address the needs of the growing child. Teachers in Waldorf schools are dedicated to generating an inner enthusiasm for learning within every child. This eliminates the need for constant competitive testing, academic placement, and behavioral rewards to motivate learning and allows motivation to arise from within. The internal motivation that is generated in Waldorf education helps to engender the capacity for joyful life-long learning.These principles inspire and guide teachers, administrators, trustees, and parents today. Tucson Waldorf School is an independent, tuition-based school and as such, does not receive substantial funds from federal, state, or local government. Tuition at TWS is outlined in the Tuition and Fees section. An important goal of Waldorf education is that families of all income levels may participate in the school. Financial Assistance resources are available to all students in Grades ‘K’ through 8. These resources include various forms of direct aid, in addition, to support from Arizona Waldorf Scholarship Fund. 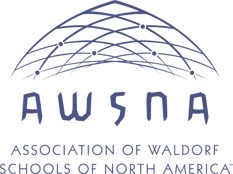 TWS is an accredited full Member of the Association of Waldorf Schools of North America (AWSNA). Tucson Waldorf School is a community dedicated to joy in learning. We believe in engaging each child through meaningful experiences, attuned to the unique stages of childhood. Tucson Waldorf School graduates approach life with purpose, intention, and commitment to social responsibility, confident of their place in the world.